Damage to a swimming pool could be the result of weather, neglect, overuse, abuse, misuse, calcification, improper chemical levels, improper water level, or simply age. 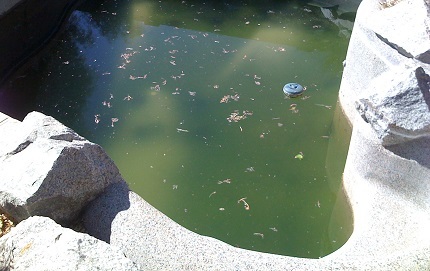 Damage is especially more common in public pools, neighborhood pools, hotel pools and other commercial pools that are used more often and by more people than private pools. 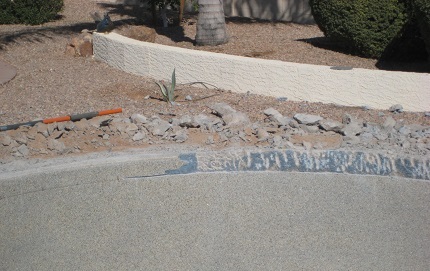 When these damages occur, you can count on North Star Pools for pool repair. 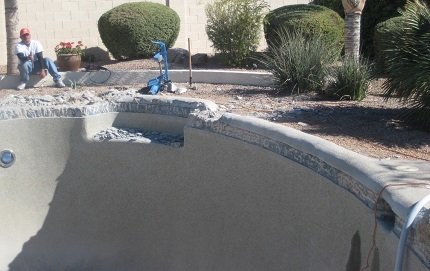 As experts in all aspects of pool construction, North Star Pools can handle a repair job of any scope or size. 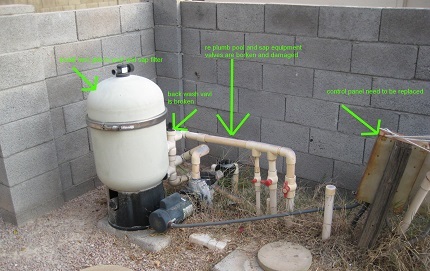 The various parts of the pool that could be affected are the decking, foundation, plumbing, pumps, filters, jets, and lighting. 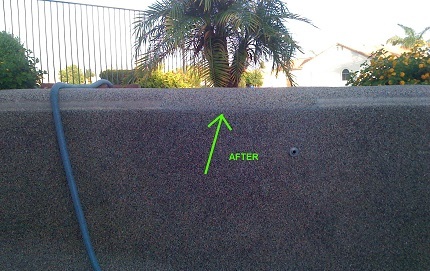 Pool Repair begins with the proper assessment by an experienced pool repair technician. The technician will come to the pool location, whether it be your residence or public pool, to observe the pool and all it’s parts. He may run some tests to assess the chemical levels or to see how the pumps, filters and other plumbing are operating. 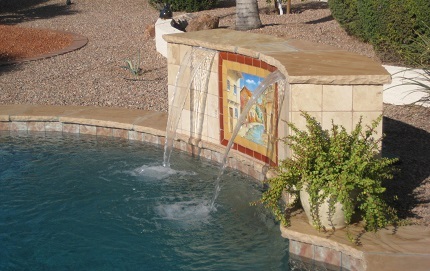 If the required repairs are extensive, then it may be time for a complete pool remodel. This could be an excellent opportunity to build your dream pool. If you have a new pool, an aged pool, or a pool that was recently repaired or remodeled, proper pool maintenance is the best way to prevent future damage and thus avoid costly repairs. 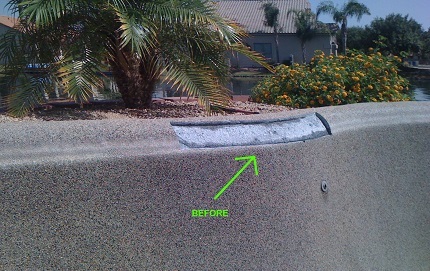 The most common pool maintenance tasks can be performed by the pool owner. However, if you prefer not to do it yourself, North Star Pools has maintenance services that would be of good use. Whether you need weekly pool services or much more elaborate pool maintenance, such as pool draining and surface cleaning, call North Star Pools today! 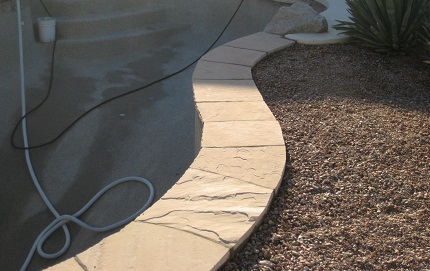 Contact our office in Gilbert to submit a pool construction inquiry.